Wanted A Part Time Nanny Temporarily ? Temporary nanny services or part time nanny is ideal for Singapore families where the child is usually in daycare or child care centre but for some reasons like flu or sick leave, parents will have to seek help in ad hoc babysitting. Although really nothing can beat the feeling one gets when they spend time with their own children, but most young parents in Singapore will need to work. Children have a way of taking up all the time one has. Nowadays, couples especially find that their marriage is strained because the grownups are no longer spending quality time together. Between children and work, there really isn’t any more free time left which is why part time babysitter is needed from time to time. When you find that you need some time to yourself, it may seem like you are taking advantage of your relatives and friends if you keep leaving your child with them. Hiring a temporary nanny on ad hoc basis turned out well received by working parents where the infant or toddler is well taken care of in your absence. For most parents however, finding a suitable Singapore part time nanny at the required location is often the greatest challenge. As a parent who wants the best for their child, there are several things you should do to ensure that your child is safe with the nanny regardless if she is full time nanny, temporary or part time nanny. Finding a qualified babysitter takes time. You have to consider the advantages and disadvantages of babysitting at your own home and babysitting at nanny’s home as well. There are nannies who only wish to do long hours for short term instead as they find it is too tiring to commit themselves for long term especially if it is not at their own home. Although parents may prefer the part time nanny to babysit at parent’s place for the convenience but many nannies would prefer the babysitting activities to be at their own place for the comfortability and familiarity reasons. Parents can also explore the option of hiring a temporary nanny first before committing the nanny for long term. Although price is usually the decisive factor but it may not necessarily be the main factor. Here are the top 3 factors that parents always consider before engaging temporary nanny services in Singapore. You want to look for individuals who have experience with children especially if your child is still a baby, less than 15 months and not able to walk yet. Infants at this stage will need extra attentive care. You will have more assurance leaving your child with a nanny who has been taking care of kids or is a stay at home mom (SAHM). This way you can be sure that their experience has taught them what to do and what not to do when with children. A newbie may have no idea why the baby is crying or how to feed a child. Cost is something parents should consider. Ask yourself “can I afford to pay a nanny?”. This will ensure that you do not hire someone and end up straining yourself because you do not have the money they require you to pay them. Cost of nanny varies due to experience and demands. Average market rate is $20 per hour for daytime babysitting services or $800 per month. You should therefore consider if the price is an amount you can afford to pay without straining your budget too much at the same time without lowering their value. Find a nanny near your home will bring much convenience to yourself and the nanny. Be it if the babysitting is at your own home or it is done at nanny’s home. Less distance traveled and able to reach home early to rest is a much wanted bonus for either party after the long hours of work. Hiring a qualified part time nanny will give you peace of mind that your baby is safe and you will be able to enjoy your date or concentrate in your work. You will be able to ensure that your child is not neglected as you search for professional qualifications and career development. Children do take up a lot of time from their parents. Sometimes the lack of time strains marriages. With a temporary nanny, you are able to take care of yourself and your spouse by spending more time together, go to beach, watch sun and strengthen your marriage. This allows your child to grow in a home that is stable and happy. A temporary nanny is ideal for families where the child is usually in daycare or child care centre but for some reasons like flu or sick leave because you only pay for her service when you need her. You have the flexibility to choose your own schedule. Pay only for when you need and take care of your child at other times by yourself. This allows saving in the cost, give yourself time for your own events without affecting much on the parent-child relationship. We strongly advise you to find yourself a responsible and reliable temporary nanny, even if you did not use NannySOS Babysitting Services. Initially was worried if the recommended nanny is able to take care of our son as he is on asthma medication. Thank you NannySOS for recommending Winnie. Her past experience as a nurse really ease our mind which we can concentrate on our work better, knowing Ivan will be in good hand. Definitely will use your babysitting services again! 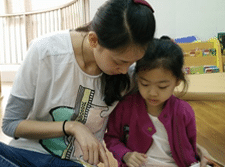 We have been looking for daytime nanny at bukit batok for quite some times. Lucky that auntie May live just near us. Fetching Joyce is so convenient now! My friend is also looking for a part time nanny and i have recommended your service to her. Thanks a lot nannysos! Make a new neighbor and a new friend =) Though only temporary, but we might consider for long term in future. See you again at the next babysitting session! After talking to a few recommended confinement nanny agencies, we decided to hire our confinement nanny from NannySOS for our first child. 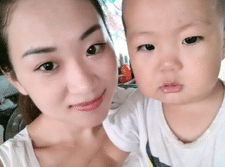 We like the service and hence engaged their help again to find a temporary nanny for us. Many thanks for your support! How do I engage your temporary nanny service? You can request for the service and babysitter singapore price list via our Babysitter Request Form. No need to search for day nanny by yourself and wait for their reply. NannySOS babysitting services will recommend the most suitable temporary nanny or part time nanny near you based on your location and requirement. Do you provide temporary nanny for weekdays? Yes we do. We have temporary nannies for both weekdays and weekends subject to their availability. 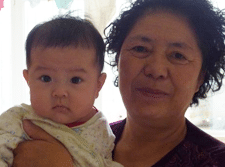 The part time nanny is able to babysit at their own home or travel to your place. What information do you require for finding a nanny? We need basic information like your postal code or address location, number of hours required per day, short term or long term, age of child and especially if the child require any special attention that the nanny need to take note of. Can I have the same nanny for all days booked? Yes that would be most ideal. No problem for a day or two. In cases like alternate days weekly, we can replace with another experienced day nanny on dates when the main nanny is not available as she might have been booked by others on certain days. 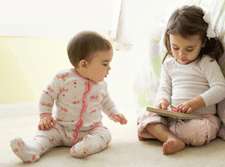 We encourage early confirmation and arrangement in order to have the same nanny.